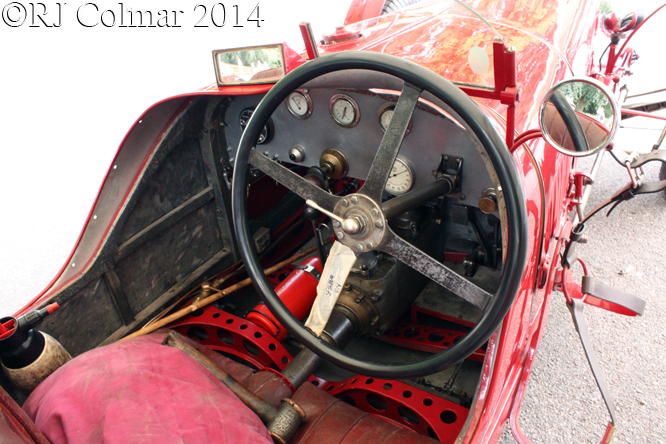 While looking for information about last weeks featured Maserati 8C 3000 I stumbled across some information about the Maserati 26M I featured early on in this run of Maserati Monday posts. This cars known history starts with an almost unknown Swedish department store heir Henken Widengren, who bought the two seat bodied car with a 100hp Tipo 26C spec supercharged 1078 cc / 65.7 cui 8 cylinder motor. 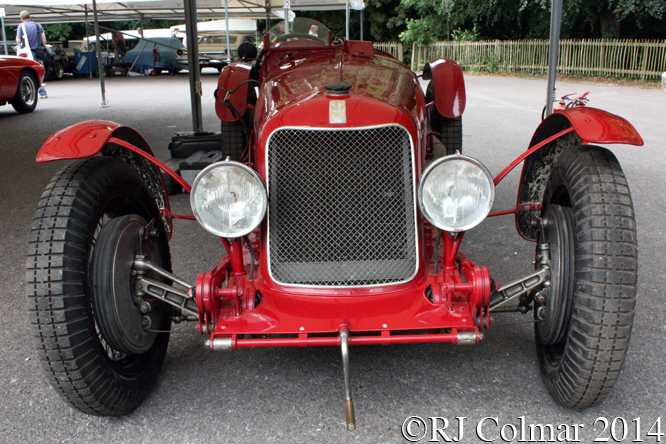 Henkens best result from three races was a 19th place finish with Richard Oats in the 1931 Double Twelve at Brooklands. After a brief spell during which this car was raced by Lindsey Eccles in 1932 the car found it’s way into the hands of RJW ‘John’ Appleton who embarked on a programme of development that would last until nearly the turn of the millennium. Appelton almost immediately disposed of the motor and gearbox replacing them with a Riley Nine 4 cylinder motor and ENV pre selector gearbox taken from an MG Magnette. 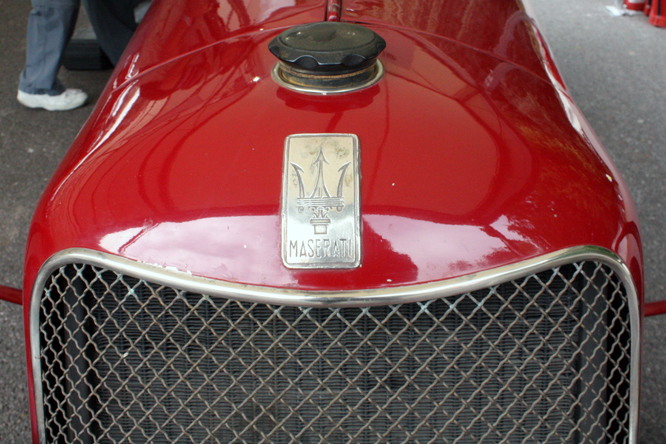 The shorter motor allowed Appleton to reduce the wheel base and chassis length by a foot which was also reflected in the shortened Maserati bonnet. After fitting a super charger the Maserati Riley with Applton at the wheel immediately won it’s class in the Shelsley Walsh hillclimb and shortly after it’s 2 bearing crankshaft broke. 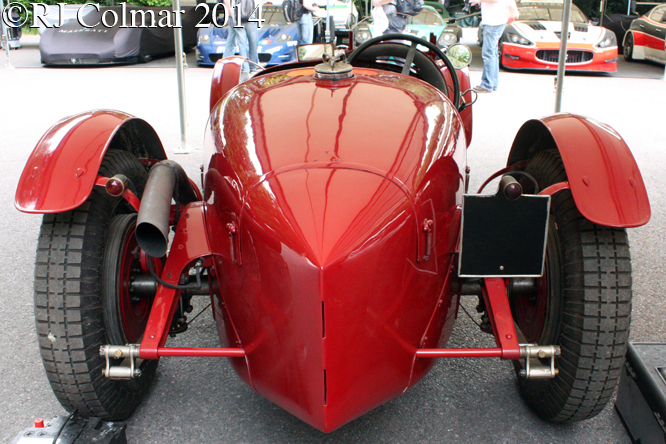 During the winter of 1935 the Maserati Riley morphed into the Appleton Riley as RJW set about dismantling the frame lightening it and fitting new narrower cross members and a completely new single seat body. Engine modifications including fitting a 3 bearing crankshaft to the Riley Nine motor brought the power up to 120hp which facilitated two successful seasons competition that included further class victories at Shelsley Walsh, a victory in a short handicap race at Brooklands, new class lap record of the Brooklands ‘Mountain’ circuit and standing start class records over 1 km and 1 mile. 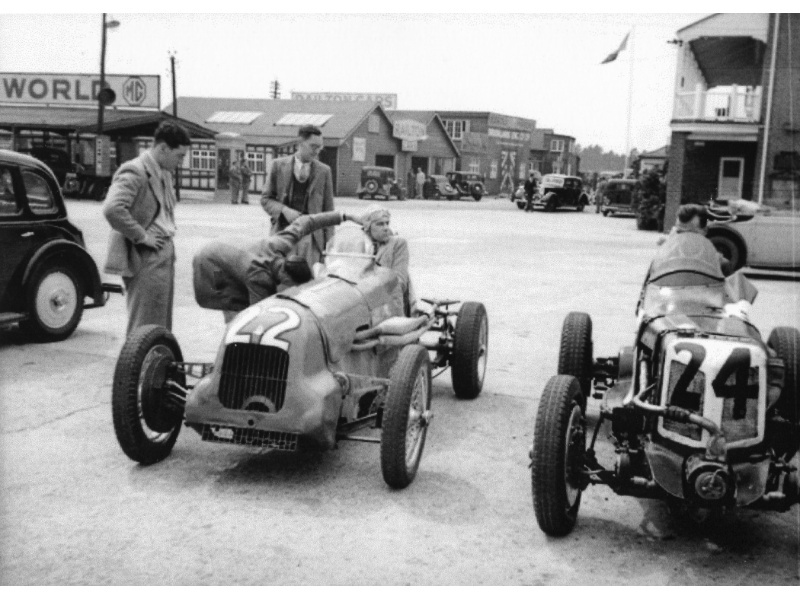 In 1937 a bronze head with special valve gear was fitted and fetlled by AF Ashby while the Zoller supercharger was replaced with an Arnott item running at 27 psi taking the power output up to 160 hp. To help the car stop more effectively larger steel lined Elektron drum were fitted and to improve the handling a new rear suspension with transverse friction dampers was devised. With a lighter and slimmer body, increasingly resembling the Mercedes 125 Grand Prix cars, the 130 mph Appleton Special was driven to further success at Brooklands, Chrystal Palace and the Poole Speed Trials up until 1939. 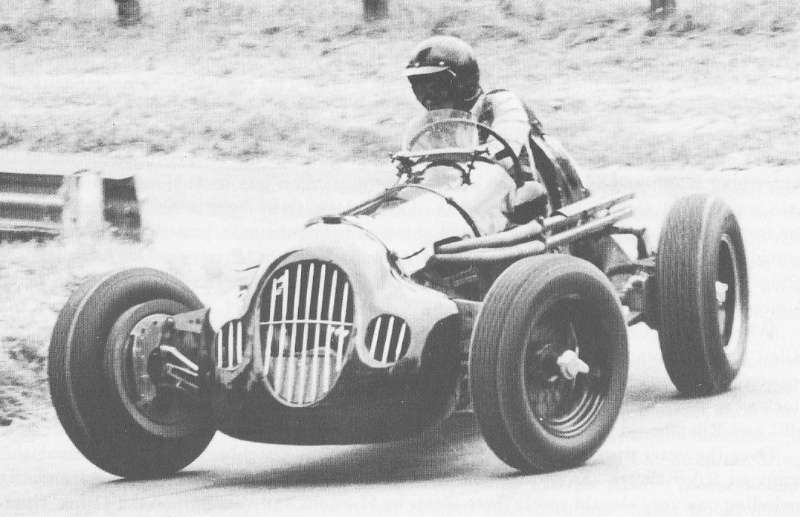 After 1945 Appleton detuned his special, using a Roots supercharger and reduced boost pressure the power output fell to a modest 135hp, enough to win it’s class at Shelsley in 1946. In 1948 the supercharger drive split and plans were made for the 1931 Maserati beam axles to be replaced with fully independent suspension but the car was sold before the drive was repaired or the suspension fabricated in the early 1950’s. From 1963 to 1964 F Baker with help from RJW drove the Appleton Special now fitted with a normally aspirated 1500 cc / 91.5 cui Riley 12/4 motor that had 4 Amal carburetors to facilitate fuel flow. Ownership then passed to Alan Wragg in the early 1970’s and thence by 1974 to Colin Warrington who fitted a supercharger to the 12/4 motor. Since 1978 the Appleton Special has belonged to the Majzub family and up until the turn of the millennium Julian Majzub competed with it in VSCC events. 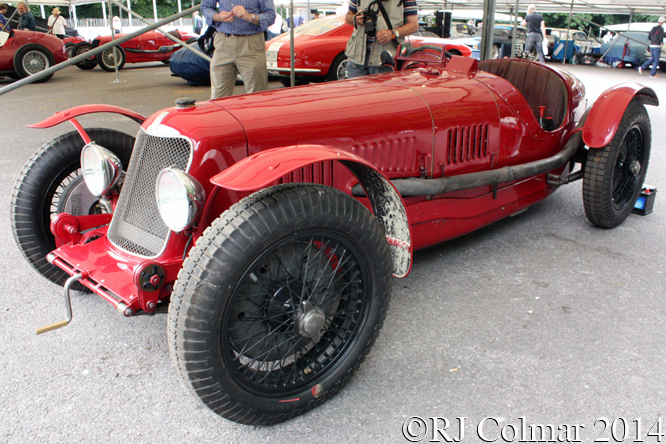 Sometime after the millennium the Appleton Special was taken apart and the shortened 1931 Maserati chassis rails and 1931 axles were combined with other Maserati parts to build the 26M featured today seen at Goodwood Festival Of Speed. Widengren’s original Maserati body was of course chopped about by Appleton and is thought to have long since ceased to exist. 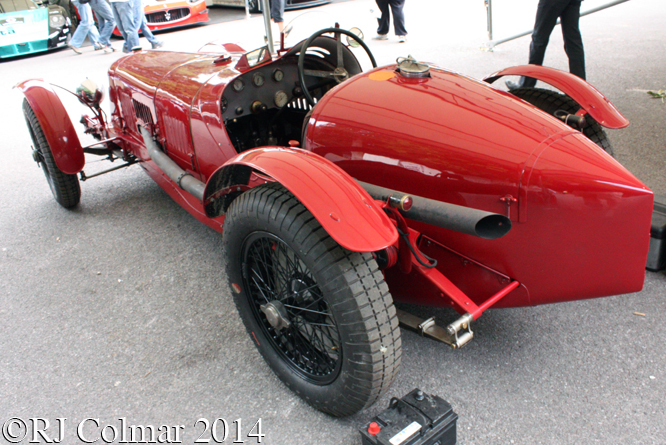 However the discarded modified Maserati 2 seat body, which T.A.S.O. Mathieson and Mike Oliver had converted for road use by 1947, from the Louwman Museum’s ex Birkin 8C 3000 chassis was acquired from Cameron Miller and is believed to have been fitted to this car. It should be noted that the Tipo 26C, 26M and 8C 3000 all shared the same basic chassis design with the major differences being the size of the 8 cylinders motors fitted. Today’s featured car is fitted with a just under 2.8 litre / 170 cui 8 cylinder Maserati motor, over twice the size of the Tipo 26C 1078 cc / 65.7 cui 8 cylinder motor that Henken Widengren was supplied with. My thanks to all those on various The Nostalgia Forum threads mentioning the Appleton Special who have unwittingly contributed to my understanding of the story behind today’s featured car. 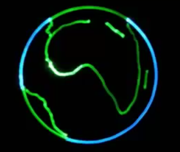 Thanks for joining me on this “Widengren & Appleton” edition of “Gettin’ A Li’l Psycho On Tyres”, I hope you will join me again tomorrow when I’ll be looking at some French cars that took part in the recent Chipping Sodbury Classic Run. Don’t forget to come back now ! 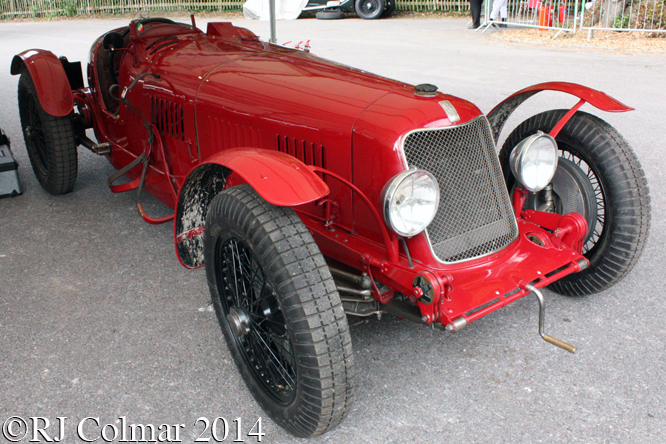 This entry was posted in Uncategorized and tagged 26M, Appleton, Arnott, Baker, Brooklands, Colmar, Double Twelve, Eccles, ENV, Festival of Speed, GALPOT, Goodwood, maserati, Mathieson, Mazjub, MG, Miller, Oats, Oliver, Ralph, Riley, Special, Tipo 26C, Warrington, Widenfren, Wragg, Zoller on July 14, 2014 by Ralph.